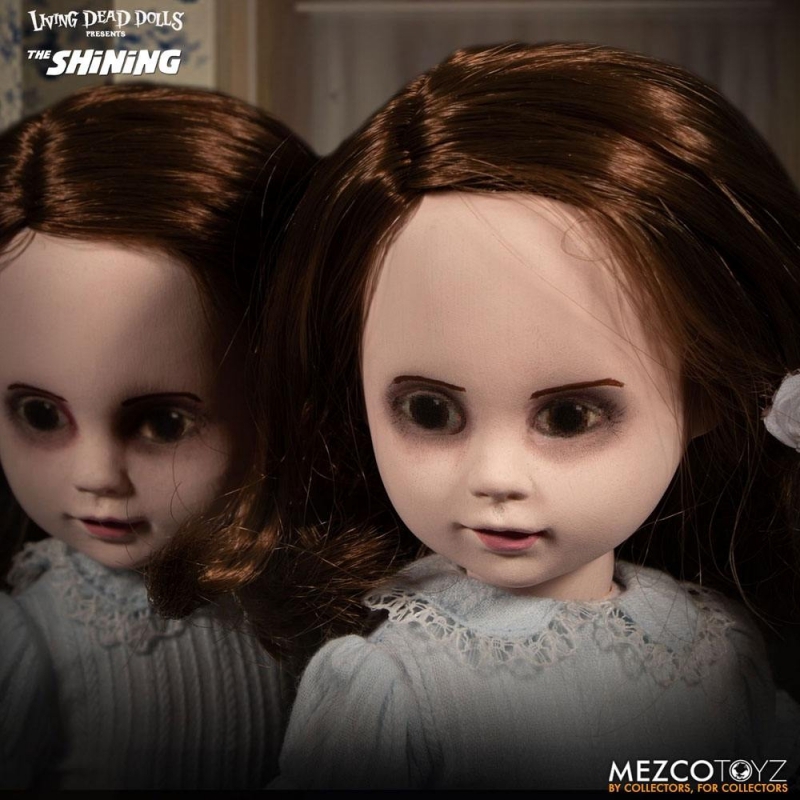 Geweldige Living Dead Doll set van Kubrick's meesterwerk, deze zijn ongeveer 25cm hoog en met geluid. 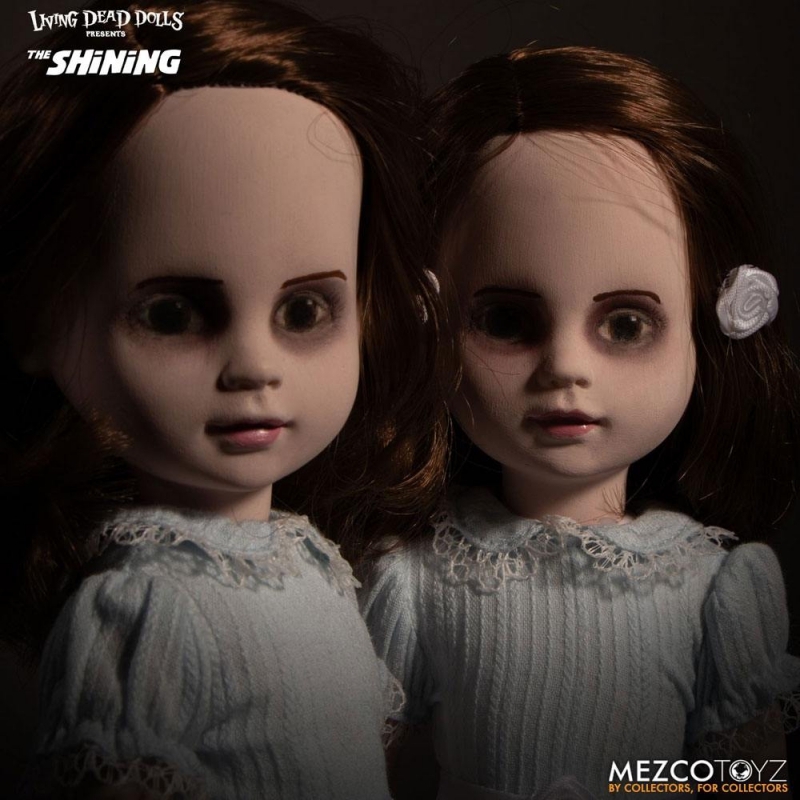 Stanley Kubrick's 'The Shining' has been immortalized as the Grady Twins join the Living Dead Dolls family! The memorable scene from the cult classic is recreated: depress the button discreetly hidden on one of the twin's backs and hear her speak their signature phrases including "Come play with us, Danny..." and "For ever, and ever, and ever..."
The Grady Twins come outfitted in matching blue dresses with ruffle detailing, waist belts with bows, knee-high socks, and Mary Jane shoes. 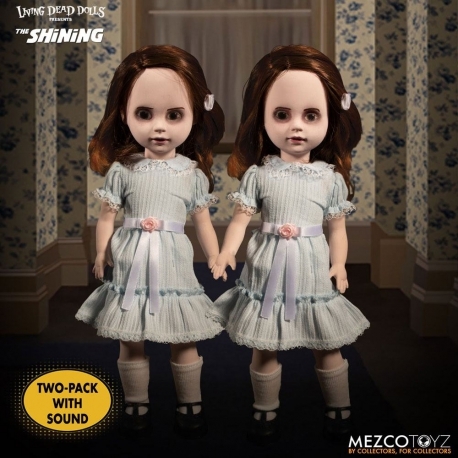 The Living Dead Dolls Presents The Shining: Talking Grady Twins stand 10" tall and feature 5 points of articulation. They are packaged together in a die-cut window box, perfect to display for ever...and ever...and ever.